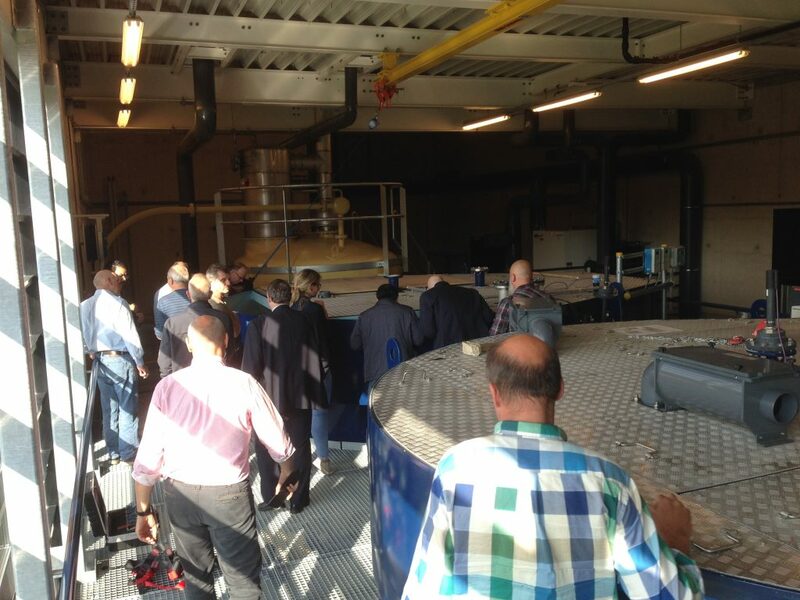 On Wednesday afternoon, 27 September, the Industry Water Network Group visited Brabant Water’s production site at Veghel. Following a network group meeting, an afternoon discussion session was held on experiences with (industrial) water softening, which included a tour of the softening installation at the drinking water pumping station. It is striking that drinking water companies almost exclusively use pellet reactors in their softening processes, while in industry water softening has a longer history, so the choice has often been made for classical technologies. 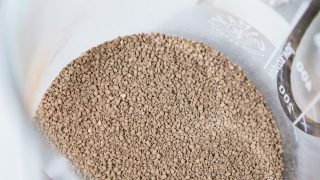 Drinking water companies are keen on minimising water loss and having as compact a residual stream as possible, which are the strong features of pellet softening. Tata Steel applies cold lime softening as the first step in its demiwater production. Two upflow clarifiers remove a large part of the calcium and thereby reduce the load on the connected anion and cation exchangers in the rest of the demiwater production process (sand filtration, ion exchange and a polishing mixed bed). Tata Steel’s greatest challenge is the disposal of the resulting sludge. Evides Industriewater (EIW) uses ion exchange as its softening technique. Ion exchange constitutes the heart of both the existing Botlek demiwater plant as well as the new demiwater plant soon to be operational on the Maasvlakte. The ion exchange is followed by reverse osmosis and polishing with a mixed bed. The ion exchange influent is surface water that has been pre-treated in a combined flotation-filtration step. In designing the ion exchange, it is important to take into account the undissolved particles in the feed water, which can cause increased pressure drops over the resin bed. Also, long cycle times can lead to biofouling and adhesion. 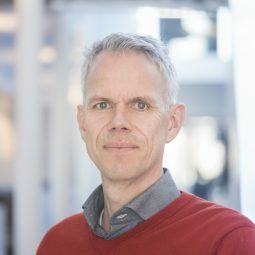 The Brabant Water drinking water company has all but completed its Deltaplan Ontharding (Delta Plan Softening) and thus improved user comfort in the entire province. The installation of the softening process at the Veghel production site provided the blueprint for the processes at other sites. During the tour, the participants could also take a look at one of the pellet reactors that was out of service for maintenance. They were also able to see and feel the fine seeding material and the pellets. The pellets are then supplied via AquaMinerals to the carpet and glass industries, for instance. Brabant Water wants to further optimise the process by replacing seeding sand with fine calcite and, in the future, to possibly make the calcite by grinding its own lime pellets. 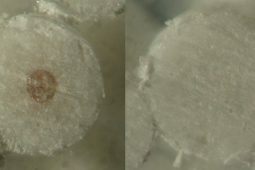 This process results in a nice uniform calcite pellet, that can be even better marketed as a high-value residual. 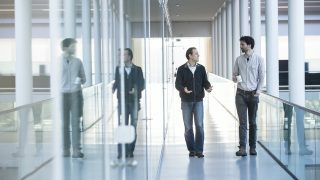 The Industry Water Network Group is a KWR activity, based on joint knowledge production by industry and the water sector. The Network Group is made up primarily of companies in the (petro)chemical sector, the food sector and water companies in the industrial market. Tour along the upper-side of the pellet reactor at the Veghel production site.